Dating back to the late 1800s, the art of visual merchandising has been a consistent long-term growth strategy for retailers across the globe. Famous artists (Warhol, Dali, etc.) have contributed to visual merchandising strategies, and massive brands have utilised visual merchandising to consistently grow. So, it's no wonder that visual merchandising has stood the test of time and positioned itself as one of the most significant retail sales tools. But, there's more to visual merchandising than a fancy display. 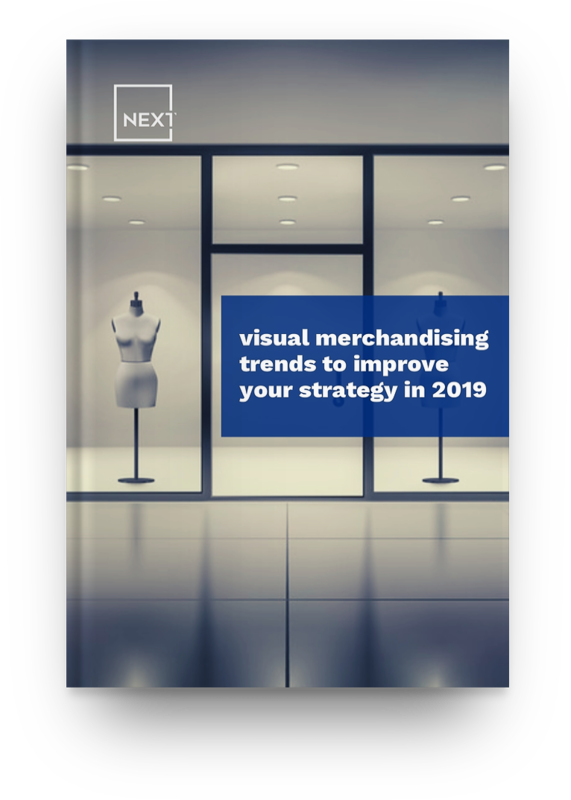 Here, we're going to take a look at visual merchandising, and see how retailers use it to garner sales, improve their brand image, drive traffic, and consistently outpace their competition. How Does Visual Merchandising Impact Sales? 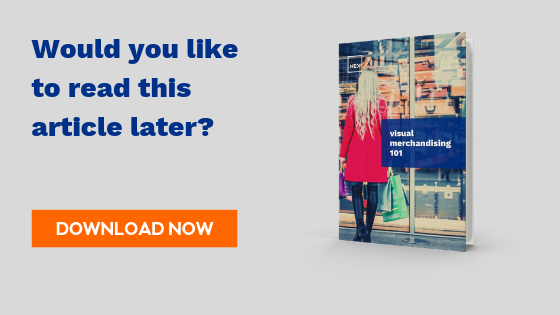 How Does Visual Merchandising Impact Traffic? 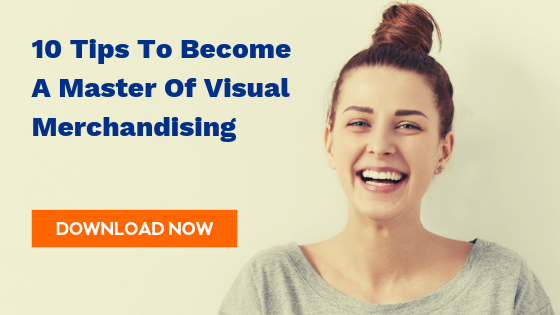 How Does Visual Merchandising Impact Brand? Visual merchandising is a time-tested retail optimisation strategy that leverages presentation, aesthetics, and space to increase traffic, boost in-store conversions, and raise profits across channels. Good visual merchandising should guide consumer purchase behaviours and solidify both your brand and your in-store experience. A common misconception about visual merchandising is that its primary purpose is to draw customers into the store. In fact, visual merchandising should also aim to increase loyalty, boost brand image, and increase conversions. So, it's more appropriate to think of visual merchandising as both a marketing funnel and sales pipeline optimisation tool. There is a multitude of benefits to visual merchandising, and it seems impossible to cover them all in one concise post. To be clear, visual merchandising isn't a completely standardised industry. Instead, it exists the frictions between art and science, which gives brands the ability to be clever, creative, and unique in their presentation without disregarding the neuroscience that drives many of the choices made during a visual merchandising campaign. To better represent the benefits of this diverse field, let's put visual merchandising's main benefits into three buckets. The aesthetic makeup of retail stores has a massive impact on sales. When you walk into most major retail stores, you'll notice that products are neatly placed, space is strategically minimised, and each aisle is a curated experience. This is visual merchandising in play. But, all of that effort isn't just to make the retail space look pretty, it helps guide customer decisions. In fact, 92.6% of customers say that visual factors play an important role in their purchasing decisions. That's not surprising given that 90% of the information sent to the brain is visual. Visual merchandising sells customers an experience — not products. So, it can be difficult to draw lines from this experience directly to sales output. But, let's clarify how important these visuals are for customers. The human brain processes visuals 60,000 times faster than text. This means that your customers are going to be instantly recognising visual presentation. In fact, within the first 90 seconds of walking into your store, customers will make a judgment about both your atmosphere and product. If they don't like what they see, 52% of customers won't ever return to your store ! The impact of visuals on your sales pipeline is deep, and visual merchandising optimises that impact. There's a wealth of academic (and business) research proving a significance between visual merchandising and sales. Visual merchandising has a significant impact on impulse purchases in Iran . Visual merchandising has a significant impact on purchase behaviours in South Korea . Customers who like the visual merchandising presentation are 4x more likely to make a purchase . Not only does a well-optimised visual merchandising strategy increase conversions, but it also helps you control traffic flow. 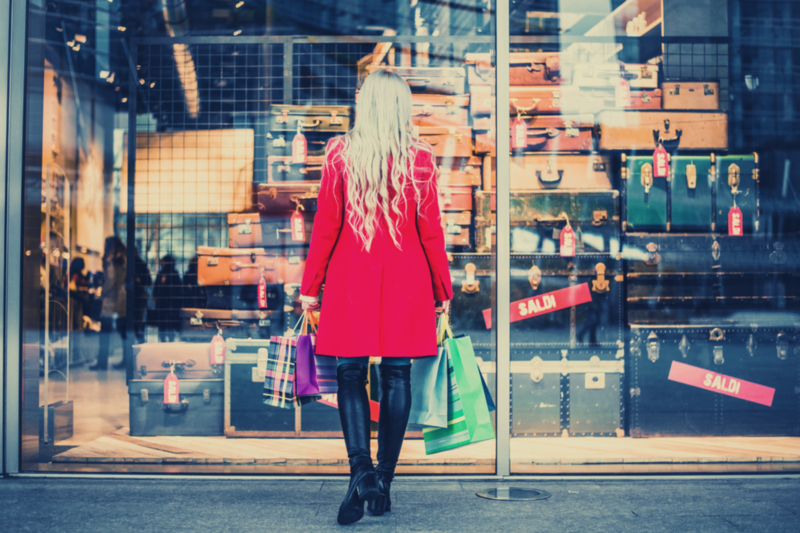 Remember, visual merchandising takes place both inside and outside of your store, and appropriate signage and window displays can entice users to walk into the shop. Of course, lighting also plays a major role in this — lighting increases purchases-per-customer by 1.93%. As people walk by your storefront, you have a limited space to persuade them to come inside. Sure, some customers will already be "heading your way" (the window display can impact the product they purchase,) but all of the people who walk past your shop will need some persuading to come inside. That's the role of visual merchandising. Let's take a look at some research that backs this up. The third profit pillar of visual merchandising is branding. While your brand identity can be extremely difficult to measure, it's one of the most critical business metrics. In fact, Walker predicts that brand will overtake both price and product as the key business differentiator by 2020. So, finding a way to increase your brand identity is a surefire way to future-proof your retail store. Visual merchandising not only improves customers feeling towards a brand, but it also increases brand recall, strengthens feelings towards brands, and improves customers relationships with those brands. In fact, retailers that maintain well-designed interiors and exteriors cause customers to positively value your brand more intensely. Visual merchandising's ability to brand is so powerful that it can prevent your customers from shopping with your competitors based on your aesthetics alone. 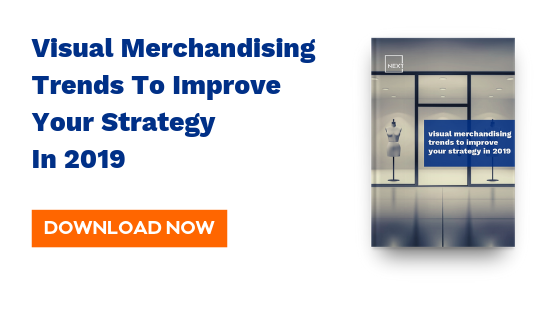 Visual merchandising's ability to improve brand, increase sales, and drive traffic put it in the unique situation of being useful across channels for retailers, which is especially important in the digital age. Visual marketing is a great experiential marketing tool. 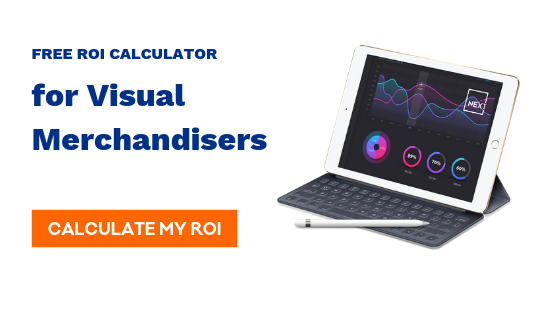 The visual merchandiser's arsenal is filled to the brim with unique weapons that can help beautify your store, optimise traffic flow, create a culture of selling, and improve your brand identity. Let's take a look at some of these tools. Displays: The soul of visual merchandising is the display. These come in a variety of formats: window displays, gondolas, peg boards, etc. Here's the secret to displays; they're an art. There isn't a one-size-fits-all display that exists. Not to mention, each display has its own purpose. Exterior displays — like window displays — are great at drawing customers in and catching their eye, while interior displays like gondolas are great for strategically organising merchandise. Did you know that 85% of customers say window displays increase their purchase intent of the displayed products? How you ultimately set up your retail store's display will be dependent upon your brand, products, and strategies that you outline with your agency. Want to see some examples? Check out our portfolio. Lights: People underestimate lighting. Not only does lighting increase sales, but it can also envoke a variety of emotions in shoppers including pleasure, arousal, and appeal. Signage: Appealing signage can increase brand recall, boost engagement levels, and shovel customers in the door. But, did you know that 76% of customers choose to enter a store they've never seen before based on signage alone? Signs are a big deal! Visual merchandising should incorporate signs and window displays as focal points of exterior planning. Planograms: This is the brain of visual merchandising. Planograms should incorporate a ton of statistics and variables. How do you use space appropriately? What's the customer footpath? How can you use that footpath to sell more product? A planogram should answer all of these questions and more. Banners: When it comes to aesthetics, banners are a jack-of-all-trades. Whether you're using them to improve the visuals above merchandise, queue customers into deals, show customers where popular products are, or give customers a look at upcoming releases, banners can impart a ton of knowledge fast. Mannequins: Primarily for use in the fashion industry, mannequins play a considerable role in window displays and indoor merchandise arrangement. Of course, they aren't necessary for all fashion stores. It depends on the brand. Some brands prefer coat-and-hangar while others use folded arrangements. It's important to note that mannequins are particularly powerful at selling clothing. In fact, they play a role in attitude, sales, and in-store behaviour. Props: This category includes thousands of different objects. Really, props are anything that you use to help improve the aesthetics of your store and increase the viewability of displays. For visual merchandiser's this can incorporate many different senses (visual, smell, touch, sound, and even taste.) Have you ever seen a random bonsai tree next to some candles? That's a prop. And, if you picked an excellent visual merchandiser, it's there to impact your mood — whether you know it or not. There are hundreds of other instruments that visual merchandisers use, and each one has a unique place. But, the above tools are used in a wide variety of scenarios and store types. Let's take a look at some visual merchandising basics that make up an effective visual merchandising campaign. To do this, we're going to put visual merchandising into 5 buckets — colour, space, story, merchandise, and viewability. To say that colour impacts consumer behaviour would be an understatement. Colours impact performance, mood, relationships, thoughts, behaviours, purchase decisions, and branding. On a basic level, you want to create colour "pops" that direct customers to your displays and enhance your products. But, colour decisions should also be deeply rooted in psychology and branding. You can get hyper-specific with your colour arrangements, and they can be used to growth hack your in-store conversions. It's critical that retailers fully understand (or work with someone who understands) the complexities behind colour decisions. Where are your displays? Where is your product located? What are your hotspots? It's incredibly important to know the answer to all of these questions. Visual merchandising is all about space optimisation. You want to create a footpath that leads customers on a journey through your store, and this journey should place them at strategic display points. At these display points, everything should be spaced to guide customers to hotspots (which can increase conversions by 229%) that feature your most significant products. 64% of customers want a personalised experience every time they walk into a store. Visual merchandising is that experience. When we talk about visual merchandising and storytelling, we aren't talking about your typical storytelling experience. Instead of words, links, and ads, visual merchandising uses fonts, colours, and space to create a one-of-a-kind customer experience. How the store flows, and how each element comes together is the story of your brand. Walk into an Apple store, and you're greeted with an Apple experience. Everything looks, sounds, and feels like Apple. That's fantastic visual merchandising. Storytelling is an increasingly crucial component of a well-rounded visual merchandising strategy. Branding is the key to long-term growth. Visual merchandising is the key to branding. While space, story, and colour incorporate merchandise, they aren't a complete merchandise strategy. What are your best selling products? Which products do you need to move? What products give you the best ROI? All of these questions can be used to develop a merchandise strategy. You want to find a way to guide customers to the products that you want to sell, and you want to persuade them to buy those specific products. Visual merchandising isn't just about getting customers to buy products, you should get granular with your needs. The final bucket is viewability, which relates to how viewable your store and merchandise are to your customers. This bucket has a massive impact on traffic flow. You want people to see your store. The window display, signage, and exterior decorations should be noticeable and pique consumer interest. At the same time, the inside experience should make browsing easy, and products should be placed in logical and precise locations. You want your customers to be capable of finding what they need immediately. In the digital age, many customers may already know what they're looking for. Organising your store in a way that seamlessly guides them to that product, but has them pass well-lit and strategically placed displays is a great way to keep customers happy while also convincing them to make further purchases. The role of visual merchandising is growing in the digital age. As branding becomes a pillar of growth and the retail space gets more competitive daily, having a visual merchandising strategy can help set your business apart from your competitors. There is a wealth of research that backs the effectiveness of visual merchandising as a sales driver, traffic organiser, and brand identifier. Interested in creating the perfect retail store space? Contact us today! "As branding becomes a pillar of growth and the retail space gets more competitive daily, having a visual merchandising strategy can help set your business apart from your competitors." "64% of customers want a personalised experience every time they walk into a store. Visual merchandising is that experience and is an essential piece of your marketing arsenal". To keep ahead of the competition, it’s important to pay close attention to what’s trending in the merchandising world.